WGV Project Waterwise Development Program Launch (from left to right): Sue Murphy, Chief Executive Officer Water Corporation, Frank Marra, Chief Executive Officer LandCorp. LandCorp has just released a video which showcases WGV by LandCorp’s recent accreditation as a Water Corporation Waterwise Development and it features our very own Josh Byrne. The Waterwise Development Program is unique to WA and enables developments that have applied water efficient principles to be recognised and endorsed by the Water Corporation. The accreditation forms part of the Waterwise Development Exemplar, a JBA led initiative that is setting mains water efficiency targets at WGV that are well beyond those considered best practice in the development industry. Key water saving initiatives at WGV include a community bore irrigation supply for use in both public and private gardens, as well as lot-scale rainwater harvesting systems for toilets and washing machines. There will be water efficiency measures in the homes and a range of water sensitive landscaping features integrated across development site. All up these initiatives are expected to result in a 60-70% mains water reduction per dwelling compared to the Perth average. In addition to our consulting role on the water initiatives, JBA is also the WGV project Landscape Architect responsible for the design, documentation and construction superintendence of the landscaping from concept through to completion. 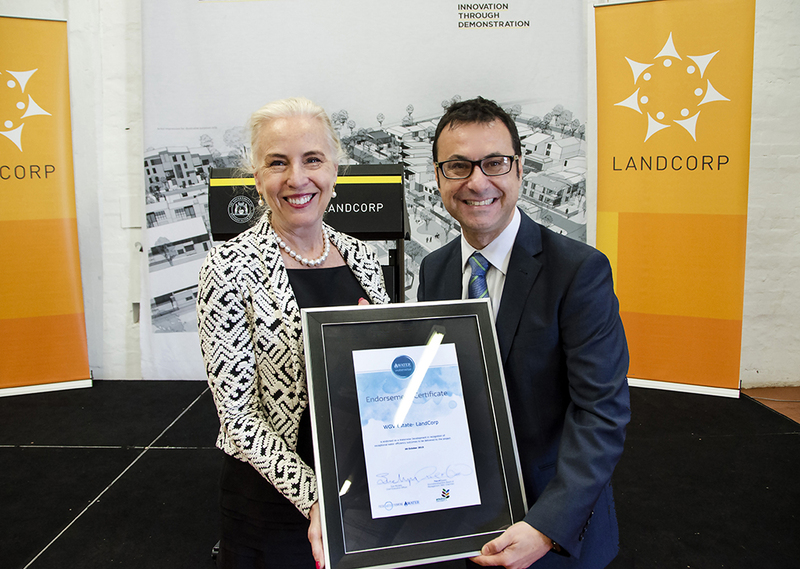 The design, build and monitoring of the key water saving initiatives that helped WGV by LandCorp gain its accreditation would not be possible without support from LandCorp, Water Corporation, Department of Water, UDIA, the CRC for Low Carbon Living, the City of Fremantle and Josh Byrne & Associates. To watch the WGV by LandCorp video go to: www.landcorp.com.au/innovation/wgv/initiatives/water/ or click on the video below.